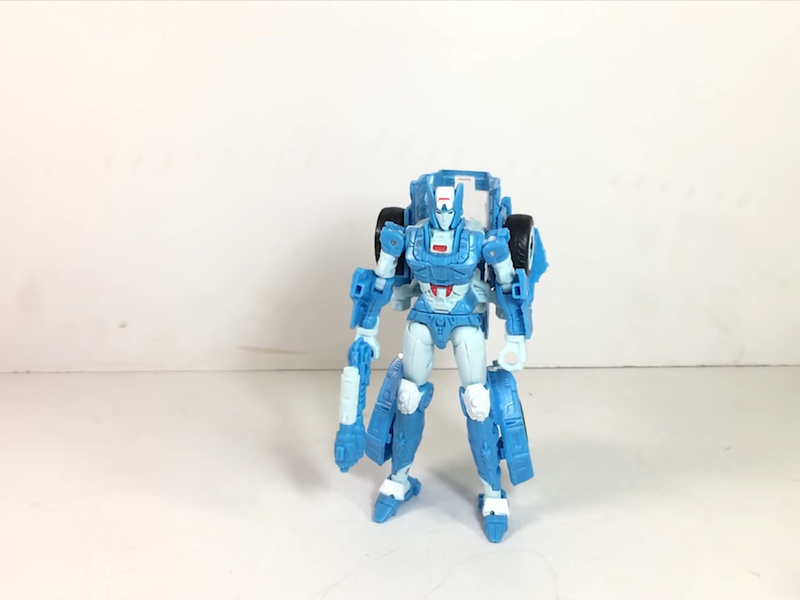 Thanks to Autobotbase Aichi for our first in-hand look at the upcoming Generations War For Cybertron: Siege figure, Chromia! 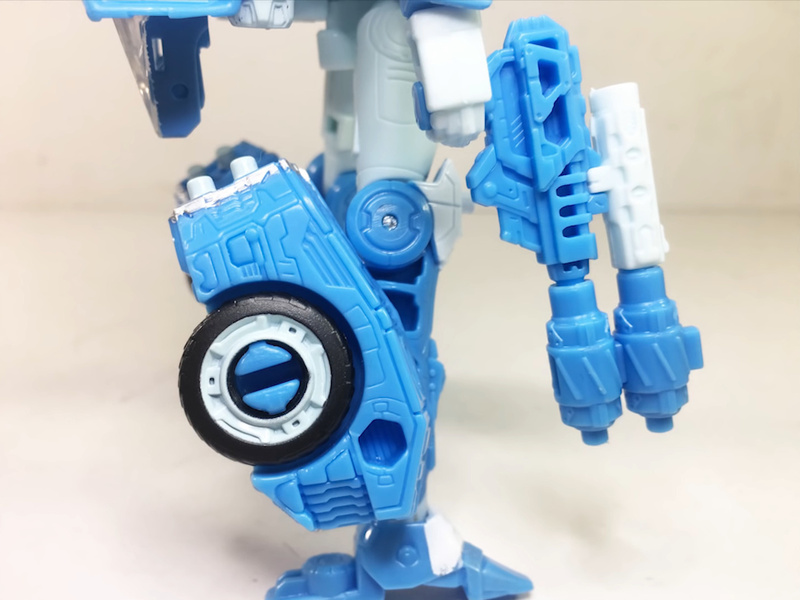 This is figure is a reuse of the Power of The Primes Moonracer mold with a lot of new tooling. She also has a little less than Moonracer! As previously reported, she is missing the combiner port but now features additional detail and weapons. We get a decent look at this figure in robot and vehicle mode as well as a comparison with Thrilling 30 Arcee. 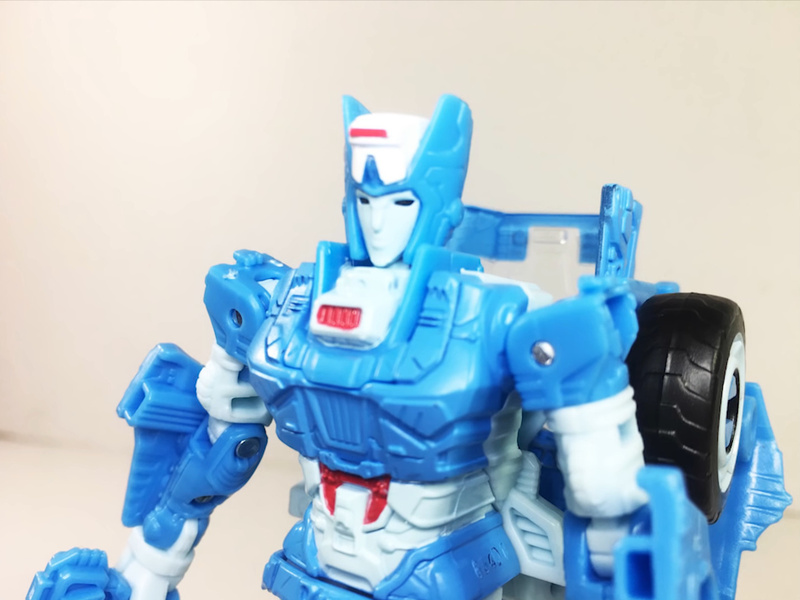 Chromia is due out as early February according to some online retailers. Her wavemates will all be Autobots including; Ironhide, Prowl and Six-gun. You can check out the images after the jump! T30 chromia is so good I think she’s worth keeping. It’s not like transformers can’t change modes. And if you like to paint figures…extra fembot. Exactly. I plan on her to be repainted into my OC Decepticon SHIV. I got the T30 Chromia, and it is hard to let go of her. She is a excellent figure. The new one however is so much more cartoon accurate since she used to be "that car". Both are good toys, good designs and it will be the difference in if you are more leaning towards the cartoon or the comics I believe the IDW. She's excellent. having every version so far of this mold, I can tell you that she's easily the best version. 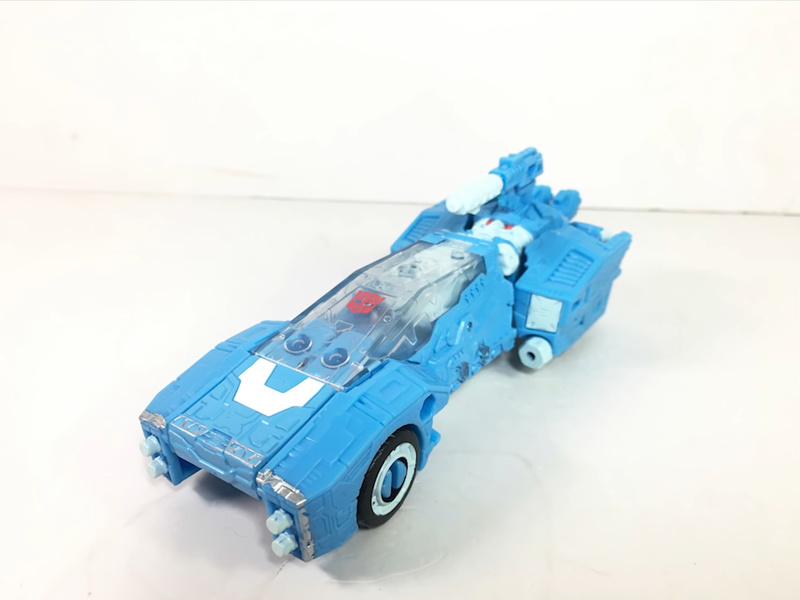 I'll get tron bike chromia, but only for a new character. It shares the parts from the sprue that didn't need to be remade for the removal of the combiner gimmick, I think. 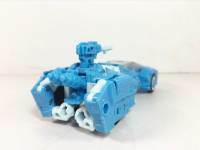 All blue and clear hard plastic parts are two different sprues. Edit: belay that – biceps and ankles are also soft plastic sprue and those are new parts. Might be that all sprues for this toy are new molds, but a few parts were copy&pasted between the .CAD file designs. That is also a possibility. Seeing how they did Hun-Gurr basically strip the design and make a whole new skin over the skeleton of the design. You can still see with the hands and the rear side of the arms that he is a Silverbolt in disguise. 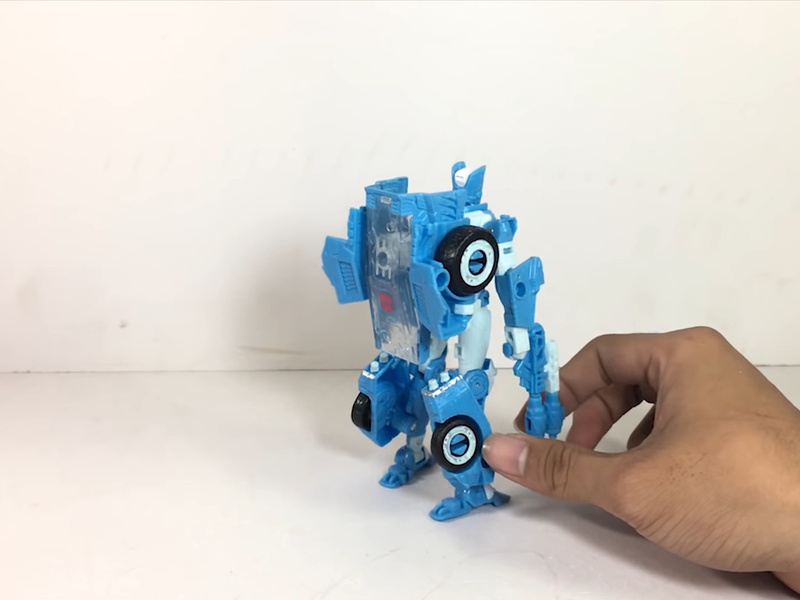 I am not sure who designed who when it comes to the transformers or if they use new ideas/programming. You can usually see signature ideas from certain designers with the toy line. And it is an artistic style as well. Since CW everything seems more streamlined. While before the difference was wild and out there. You can't compare figures like Roadbuster,Whirl and Brainstorm in T30. The difference is huge. While in CW you can see some of the same elements with different figures, well ofc they have to be compatible and stand at the same hight. But what I mean is the same hinge types and folding techniques return. After watching the video I'm hoping the joints are tighter than they appeared. I do want one though. I believe she cleans up way better than the Moonracer mold does. With the canopy folding in further due to there not being a combiner peg. Also as far as I can tell the parts she shares is the neck strud, the hands, and the upper legs. Which compromises of 3 parts each. A total of 9 pieces from the same sprew. Which is the softer non paintable plastic. I'm curious how loose or not those parts are. And also the wheels are the same. Coming from the same mold. That's another 4 parts. The hands are different. They are hollow on the underside. I wonder how tight the hinges that hold those rear fender/wheel assemblies in place are? If they're solid enough, I think I'll leave her backback untransformed, with the clear canopy behind her like a long coat. I like the remolds that have been done here– the proportions seem much more cohesive. 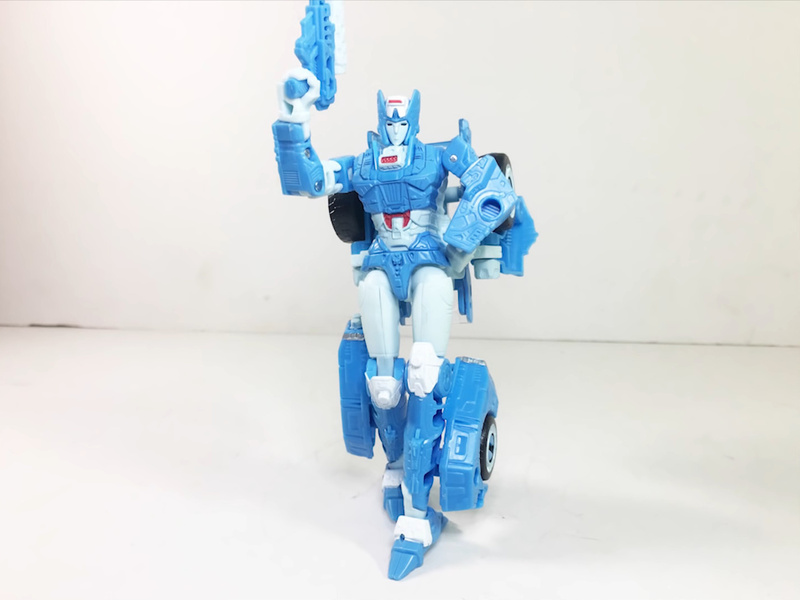 Chromia looks fantastic! And hooraaaaay; she has a nose again!!! Lol! 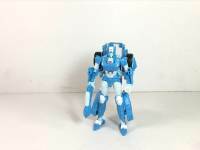 This will be my definitive Chromia at this scale. The detailing looks great, and the figure looks nicely posable and with cool weapons! Can't wait to get her! 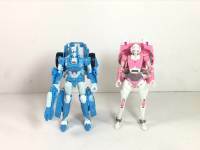 And thank Primus they didn't give her the same Clodhopper feet as Moonracer! It's such a "remold" that it shares absolutely zero parts with Moonracer save for (maybe) thighs. Especially with those arm joints made with hinges and metal pins whilst Moonracer is ball joints. It's just a transformation scheme copied sans the compromising combiner peg. I wish the entire Elita's Gang was not made as combiner limbs. But then, luckily I never cared of any of them but Elita and Chromia so this figure alone will do just fine. Now waiting for an actual G1 Elita. Ill take her legs side by side and measure when I have her. Seems they share at least 1 sprew. With the softer plastic parts. 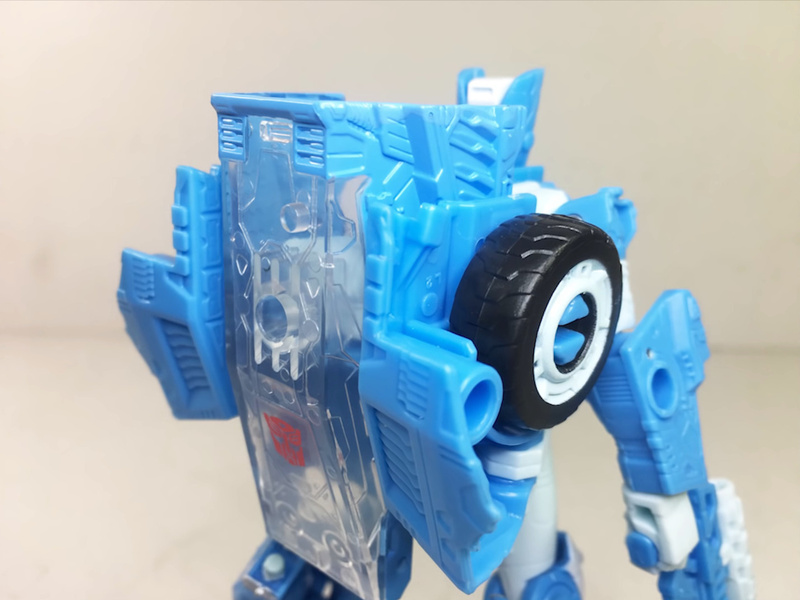 Who made that Huffer and Pipes? Ah okay I see. That's some nice looking shelves you have indeed!! 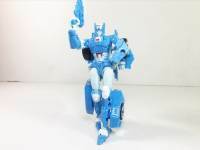 Chromia looks great and should look good with Ironhide and Prowl! Possibly. 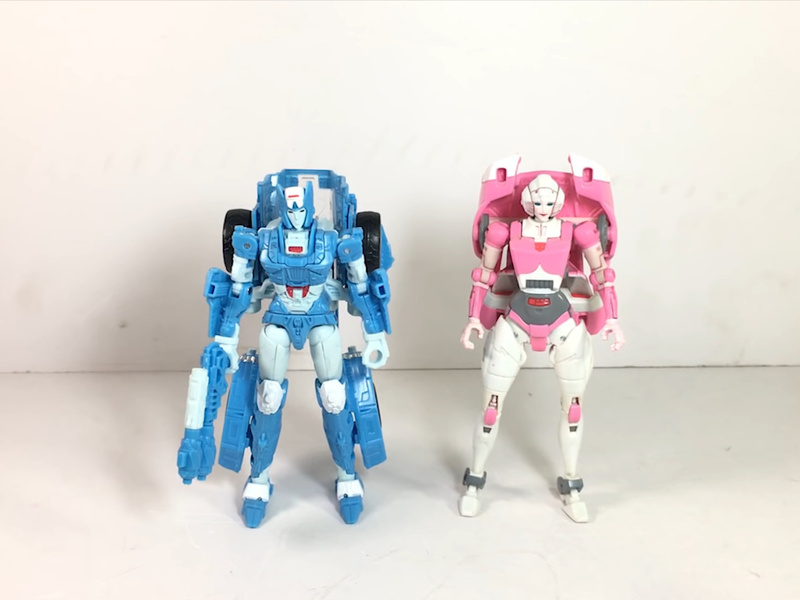 But it looks to me like Chromia is only shorter because she doesn't have the extra joint in the knee, and the thighs are the same size/thickness. That’s a possibility, but its up in the air until it’s actually readily available to scrutinize. She has more shared parts than engineering.